Has a Gospel in Hebrew Been Found? From time to time, one hears reports of the discovery of a portion of the New Testament written in Hebrew or Aramaic. To date, such reports have proven false. There is not a single extant Hebrew-language or Aramaic-language manuscript from the early Christian era of any of the New Testament books. All of the canonical gospels—Matthew, Mark, Luke and John—were written in Greek. As the author of the Gospel of Luke states in his prologue (Luke 1:1-3), many written accounts of Jesus’ life already were in circulation. 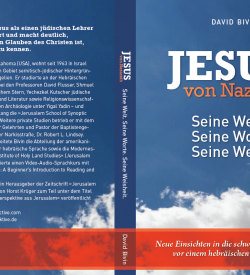 There are many Semitisms in the Synoptic Gospels. Those are the bare facts of the matter. Any further statement regarding the original language of the life story of Jesus is conjectural. A conjecture may enhance understanding, and it may even be correct. But until it is proven, it cannot be treated as fact. 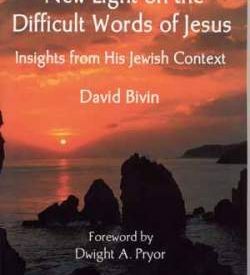 An account of Jesus’ life was written in Hebrew, probably by one of Jesus’ original disciples. One (or more) of the sources used by the writers of the Synoptic Gospels is derived from a Greek translation of that Hebrew account. I cannot claim that the Gospels of Matthew, Mark and Luke were originally written in Hebrew. I conjecture only that the authors of the Synoptic Gospels used sources that were derived from an earlier Hebrew gospel. In fact, not every part of the Synoptic Gospels shows Semitic influence. Many parts, such as the prologue to Luke’s Gospel, show little or no Semitic influence. On the other hand, there are non-Gospel portions of the New Testament that show Semitic influence. For example, the first half of the book of Acts, up to 15:35, is noticeably more Semitic than the second half (cf. Max Wilcox, The Semitisms of Acts). While there are various degrees and types of Semitic influence throughout the New Testament, I recognize that all the books of the canonical New Testament, including the Synoptic Gospels, were written in Greek. However, my research has consistently shown the importance of recognizing the profoundly Jewish and Hebraic background of the Synoptic Gospels. I firmly believe that a Hebraic perspective is the key to better understanding these three Gospels. 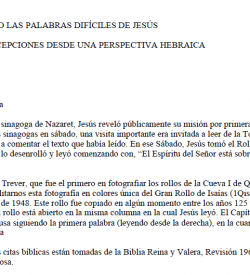 For further reading, see my articles: “Hebraisms in the New Testament,” Encyclopedia of Hebrew Language and Linguistics (Leiden: E. J. Brill, 2013; Vol. 2, pp. 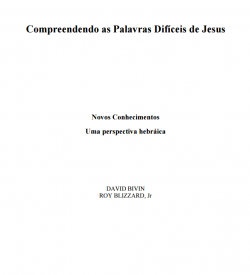 198-201); “Jesus’ Petros-petra Wordplay (Matt 16.18): Is It Greek, Aramaic, or Hebrew?” in The Language Environment of First-century Judaea: Jerusalem Studies in the Synoptic Gospels 2 (JCP 26; ed. Randall Buth and R. Steven Notley; Leiden: E. J. Brill, 2014), 375-394. Do you mean that they were originally written in Greek or are you stating the obvious that since only Greek manuscripts were found, then……. You do know that you are basing this assumption on an empirical perspective of acquiring knowledge? (For anyone who doesn’t know about empirical perspective of acquiring knowledge and information: it is a method of acquiring knowledge and information through observation, experience, and experimentation.). In the 1960s, Thomas Kuhn argued that the empirical perspective is influenced by prior beliefs and experiences. Therefore, the empirical perspective should not be the only method (some scholars think that the empirical perspective should be completely done away with) of acquiring knowledge and info. Most 20th century scholars concur that the rationalist view/method, ‘asserting that reason and/or reflection alone is considered evidence for the truth or falsity of some propositions’ is considered a better choice than the empirical method (there is an old saying that ‘science is built on philosophy’ or science is a ‘slave to philosophy’). I believe we need to use both methods together, and never alone, in obtaining the best quality of knowledge and info. For example, utilizing the rationalist method, while at the same time not forgetting the empirical method (it does has it use: examining the research done by C.C. Torrey, Frank Zimmerman, Charles F. Burney, Hugh J. Schonfield, or even the works of Paul Younan, just to name a few), one can easily conclude the entire NT was originally written in Hebrew or Aramaic. Also remember: absence of evidence doesn’t mean evidence is absent. Al Garza, in his book ‘The Hebrew New Testament: Evidence for the New Testament in Hebrew’, stated that the majority of scholars assumed that the OT was originally written in Greek until a 1940s discover of the Dead Sea Scrolls proved otherwise……. Have you considered Touch Stone, Shem Tov? Would a Jewish Rabbi risk his community in Fraud of a Greek manuscript and beuitify it with hebrewism, and win against a fominable arrangement of the church experts? Esplishly when Yeshua said obey him not them? In Shem Tov, it puts us back to misquoting Paul, and Shabbat it is not Hebraic Root, perhaps to the Church of Moses and Torah! I look forward to hotly & buth et al, either way The Judge is Very Good.